Forests are probably not the first thing you think of when someone mentions Australia, but they are there and are huge. In the case of Western Australia (WA), they stand between the town of Margaret River and Albany on the far south coast, giving visitors a completely different impression of this massive part of Down Under. At Margaret River, you are already 270km (168mi) distant from the state capital, Perth, which doesn’t sound much but is a 3hr drive. Albany is another 350km or so (about 217mi), or at least another 4hr non-stop and non-stop is obviously not an option when you’re out seeing the sights. If you’re based in or near Perth, as we were, Margaret River is a handy first stop on the way to what Western Australians call the Great Southern. Margaret River is not only the name of the region’s main town but also of the whole area, renowned for its wines, a much-visited chocolate factory and fresh produce of all kinds, much of which turns up on menus at the restaurants. These are comfortable and the food is generous, but there’s not much fine dining to be had and even less as you go further south. To get a feel for the area, it’s worth the time to join one of the organised groups which do the rounds of the leading businesses. One of the best known is the self-explanatory Winery and Brewery Tour, run by Bushtucker Tours and going strong since 1990, so the guides know their way around. It features 40 hosted tastings of premium wine, craft beer, cocktails and gourmet food and there’s a winery lunch on top. We spent the first night of our week-long journey at the Grange on Farrelly Street, a family-run, newly refurbished and welcoming place just off the main street. Like many properties we encountered, it was more motel than hotel and advertised itself as such but it did the job and was noticeably relaxing after the drive from Perth. Dinner was at the brasserie of the Margaret River Hotel, another comfortable hang-out for a couple of hours. It was the week after schools reopened after the Christmas break, which in WA extends well into February, so the crowds of families were gone, leaving plenty of room for everybody. The forests began soon after we left Margaret River for Denmark, which we were advised was a good base from which to explore as much of the southern coast as our schedule allowed. The roads, many of which seemed to have been newly resurfaced while others were still in the process, grew smaller and the trees larger as we drove but the scenery was striking. We stopped at two small farming-based communities, Pemberton and Walpole, for coffee and found rest areas fully kitted out for campervans and the like and helpful tourist offices all the way. 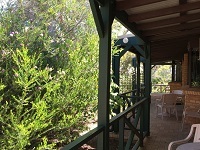 We checked-in at the Koorabup Motel on the edge of Denmark, celebrating our arrival with drinks on the terrace of our room overlooking yet more forest. Denmark is a small town that buzzes in season, attracting large numbers of campers keen to explore the picturesque rivers and waterways by canoe or kayak and forest trails by mountain bike. It is also within easy reach of some top beaches, where surfboards and wetsuits are the thing, and there is the usual selection of organised and private tours. We found there is still plenty to do out of season and a healthy number of visitors to do it, but the mad rush was over by the time we arrived and it was all the more relaxing for it. In particular, the typically-Australian Denmark Tavern next to the motel, about the only place within reach serving food, was still busy but with its number of tables and large bar area gave the impression it was quite capable of dealing with much bigger crowds. Cheerful and boisterous, it still managed to serve up some of the best meals of the trip, steak on the first night and fishburgers on the second, plain and simple but totally enjoyable. Along with the forests and the rivers, Denmark boasts several unspoiled white-sand beaches, many totally secluded. Notable is William Beach, a national park, where Greens Pool is worth a visit and a morning meeting place for local swimmers, watched over by giant granite boulders known as the Elephant Rocks. Albany, about 40min away, was a return to city life, though on a smaller scale than Perth, for example. Overlooking King George Sound and with a large natural harbour, it was a centre for the whaling industry and an interactive tour of a former whaling station is one of the musts on a visit. The armed forces of Australia and New Zealand are honoured at the National Anzac Centre in Albany Heritage Park and there are restored colonial-era buildings to explore along the waterfront. The Store on Frederick, Alkaline Café or Dylan's on the Terrace are all good for morning coffee and lunch, and a French cruise ship, the Austral, was in port on the day of our visit, adding its own excitement. 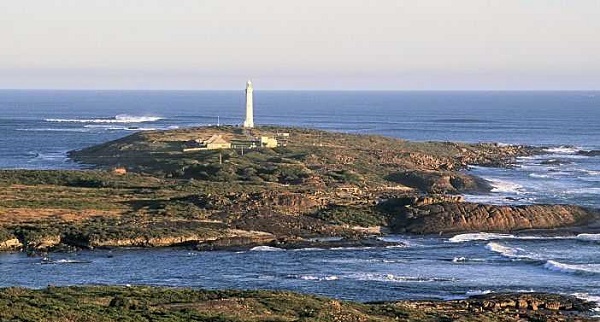 Our journey took us onward to Augusta and the Baywatch Manor, a jumping-off point for one of WA’s major attractions, Cape Leeuwin and its historic lighthouse overlooking the turbulent meeting point of the Indian Ocean, coming in from the right, and the Southern Ocean dead ahead. Visitors can take a walking tour of the site to see the buildings where lighthouse keepers and their families endured the constant rough weather and pay for a guided trip to the top of the light itself. As one of the few places in the world where the seas combine, Cape Leeuwin was a fitting end to a rewarding journey.